If an Epilepsy Research UK-funded study involves human subjects, the administering Institution, the Grantholder and any other personnel involved in the study must treat such subjects in accordance with all applicable laws and regulations including, where relevant, the World Medical Association Declaration of Helsinki and the MRC Guidelines for Good Clinical Practice in Clinical Trials. Before an Epilepsy Research UK grant award can commence, researchers are required to have all relevant regulatory and ethical approvals in place. 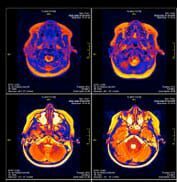 Researchers may apply for funding before these approvals are in place, but the research may not commence until copies of all necessary approvals are received by Epilepsy Research UK. It is the responsibility of the administering Institution to ascertain whether regulatory and/or ethical approval is required. If, during the period of the grant award, there are any changes to protocol or to applicable laws and regulations that require an amendment to regulatory and/or ethical approvals, copies of the amendment approval documentation must be submitted promptly to Epilepsy Research UK. Any serious incident arising in the course of the grant funded project must be reported immediately to Epilepsy Research UK and the appropriate ethics committee. The grant-funded project must be suspended until the relevant ethics committee has reached a conclusion on whether the project may continue. The Grantholder should notify Epilepsy Research UK promptly of any decision by the ethics committee. Click here to view the Royal College of Paediatrics and Child Health (RCPCH) Infants’, Children’s and Young People’s Child Health Research Charter.